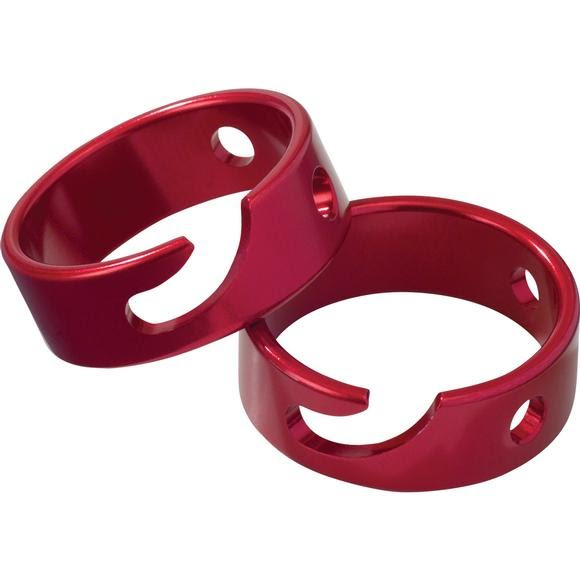 Designed to make camp life easier, MSR's CamRing™ Cord Tensioners have a ring design that securely tensions your cord yet adjusts easily, eliminating the hassle of tying and retying knots in cold or wet weather. Camring™ Cord Tensioners work best with cords from 3 mm - 5 mm. Designed to make camp life easier, MSR &apos;s CamRing™ Cord Tensioners have a ring design that securely tensions your cord yet adjusts easily, eliminating the hassle of tying and retying knots in cold or wet weather. Camring™ Cord Tensioners work best with cords from 3 mm - 5 mm.